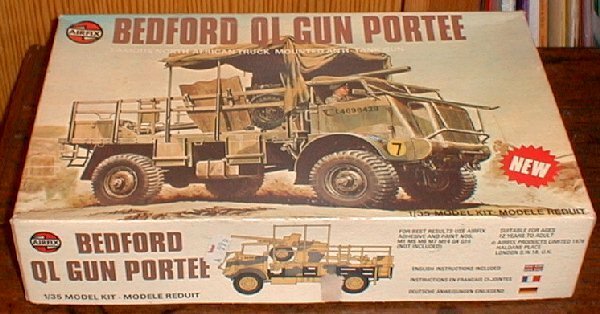 Another outstanding model in the 1:35th scale range of military vehicles. The Bedford QL was the British Army's most common 3-ton truck during the Second World War and the gun Portee version modified by the 8th Army proved an ideal answer to the menace of the German tank units. On the flat bed truck body was fitted a 6-pdr anti-tank gun thus allowing great mobility during the dessert battles. The kit provides all the necessary items for this unique vehicle. A driver figure is provided and the kit has a number of options includeing markings for three Portees used in North Africa.